Steven Benner discusses recent events in science and how they force us to think about how science is done. « What is Synthetic Biology? Does Arsenic Really Exist in the DNA from GFAJ-1? Arsenic DNA was back in the headlines in May , as Science published eight critical comments, one editorial, and a reply from the authors of a report from last December  that concluded that a microbe (GFAJ-1) had DNA with some of its backbone phosphorus atoms replaced by arsenic atoms. But that report had already entered the curriculum of science education, where courses on the philosophy and history of science at schools as diverse as the University of Chicago and East Side High School in Gainesville, Florida, pondered what the report of arsenic DNA showed about how science works. The technical details will be lost on most students. However, even high school students can perceive the form of the arguments being made in this collection of pieces. They center on where “burdens of proof” lie in science and what “standards of proof” should be. This sounds like law, but even this point may convey something important about how science works. Different from “proof” in math, “proof” in experimental science is much like proof in law. Like in law, it relates to a set of evidence that is sufficient for a community to declare that a problem is “solved” or that a criminal is “guilty beyond a reasonable doubt” [3,4]. What standards that collection must meet are not determined by logic; it is more of a cultural thing. And different branches of science have different cultures. For this reason, a set of data sufficient to force one community to accept a conclusion might cause another community to reject the very same conclusion entirely. We can see this clash of cultures within the discussion of arsenic DNA. Those who suggested that GFAJ-1 had arsenic atoms substituting for phosphorus atoms in its DNA were mostly geologists. The geologist included one physicist, from a community also represented by Michio Kaku, who published an editorial in the Wall Street Journal that accepted arsenic DNA without question . However, biologists found the same data inadequate to conclude the presence of arsenic-substituted DNA . Chemists went further, seeing disproof of arsenic DNA in the very same data . This interdisciplinary conflict is obvious in the latest exchange. The geologists continue to argue that their data show arsenic DNA to be “viable” based on “multiple congruent lines of evidence” . The biologists continue to find the data “unconvincing” . The chemists continue to insist that arsenic DNA is an “extraordinary claim” . Let us return to an old observation by Carl Sagan, who said that “extraordinary claims require extraordinary evidence” . But what is extraordinary? This it turns out, depends on your culture. Why do chemists find a claim for arsenic DNA to be extraordinary? Well, over the past two centuries, chemists have made and studied millions and millions of compounds. Each of these is associated with a molecular structure, a model that describes the arrangement of atoms in the molecule, together with measurements of how that molecule behaves. These collections support “Structure Theory” in chemistry. Structure Theory explains the properties and reactivities of all chemicals in terms of these molecular structures. More than this, the structures in the chemist’s databases are tightly and logically interconnected, making Structure Theory very highly cross-validated. Water is H2O, not H3O. Any claim that water is H3O, therefore, is a claim that all of the structures in the entire collection must be revisited. Indeed, an enormous amount of data commonly viewed as true must be false if water turns out to be H3O. This makes this particular claim extraordinary. Cross-validation in chemistry includes reactivity. For example, modern databases of molecular structures contain many arsenate esters, molecules containing an arsenic atom surrounded by four oxygen atoms, two of which are attached to carbon chains (the C-O-As-O-C linkage). The chains are different in different arsenate esters, but the species react analogously. In particular, all known arsenate esters fall apart (hydrolyze) rapidly in water, leading chemists to expect that all arsenate esters will hydrolyze rapidly in water, even those not yet known. But chemists have done more. They have measured the difference in the rates of hydrolysis of different arsenate esters having differences in what is attached to the carbon atoms. Thus, if the C atoms are attached to three hydrogen atoms (to give a -CH3 “methyl” group), the esters fall apart faster than if the C atoms are attached to two hydrogen atoms and another -CH3 group (to give a -CH2CH3 “ethyl” group). The ester falls apart a bit slower if the C atoms are attached to one hydrogen atom and two -CH3 groups (to give a –CH(CH3)2 “isopropyl” group). And the pattern seen with arsenate esters is rationalized with respect to patterns seen in phosphate esters, carbonate esters, and thousands of other compounds. As a result, if one draws out a structure of a new arsenate ester, a chemist will anticipate how fast it will hydrolyze by analogy to structures of arsenate esters whose hydrolysis rates have already been measured. For the arsenic DNA proposed for GFAJ-1, one of the carbons is like an “ethyl” group and the other is like an “isopropyl” group. So Structure Theory allows the chemist to interpolate, not extrapolate, the rate of hydrolysis of the proposed arsenate DNA linkage. It will be slower than the “diethyl ester” and faster than the “diisopropyl ester”. Since the range of measured rates in this series is not large, and since this is an interpolation between two measured rates, chemists do not expect the error in the prediction to be large. And certainly not off by factors of millions needed to make arsenate esters into molecules able to support genetics. Chemists are so sure of the power of such analogies that they now routinely reverse the logic. They often do not look at molecular structure to predict molecular properties. Rather, they look at the properties of a molecule to infer its structure. Here, arsenate esters are the novel molecular structures proposed for the DNA in GFAJ-1. The specific structure is not in the database of known arsenate esters, so its instability in water has never been specifically measured. However, the hypothesized arsenate-DNA was reported to be stable in water. Chemists, confident in the power of inference-by-analogy arising from the interconnectedness of their database, conclude from evidence that the geologists presented in their report that the DNA in GFAJ-1 is not arsenate-linked. Chemists therefore find any claim to the contrary extraordinary. Perhaps not to the extent as a claim that water is H3O. But if the band on the gel in Wolfe-Simon et al. (2010)  is in fact arsenate-DNA from GFAJ-1, then all of the reactivities reported for all of the arsenate esters in the chemist’s database collection must be revisited. Further, due to the interconnectedness of those data, an enormous body of data commonly held to be true must be false about esters in general. This, to the chemist, hands the burden of proof over to the geologists. Until the geologists generate some “extraordinary” evidence, the chemist dismisses their claim. How did the geologists in Science manage this criticism? In a fascinating example of cross-cultural confusion, the geologists simply decline to accept the burden of proof . After all, the specific arsenic DNA structure proposed for GFAJ-1 is not found in the database of the chemists. The geologists can therefore truthfully write: “There is little literature on the stability of arsenate bound in long chain polyesters or nucleotide di- or triesters, which are more relevant to our studies”. Therefore, the geologists write, “it is conceivable” [italics added] that arsenic DNA is “more resistant to hydrolysis than generally assumed” . The logic of the argument is to refuse the burden. The geologists are saying: “Well, we may not have produced any ‘proof’ that arsenate DNA could survive long enough to be isolated as we reported on our gel, let alone long enough to support genetics. But you have not provided any ‘proof’ that it would not survive.” Like in the courtroom, GFAJ-1 is guilty of having arsenate DNA until the chemists prove it is innocent. “Not so fast”, says the chemist. “We have provided the ‘proof’.” The geologists, the chemists repeat, are not just attacking the specific interpolation, claiming that their particular proposed structure is millions of times more stable “than generally assumed”. They are attacking the interpolation process, and the century of work on many compounds that support it. If the interpolation process fails for arsenate esters, why not for phosphate esters (which include long chain polyesters and nucleotide di- or trimesters)? And carbonate esters. If GFAJ-1 has the arsenate DNA that the geologists suggest, the entire edifice of Structure Theory must be flawed throughout, for many molecules; the entire thing needs to be revisited. And so it might. But as discussed in the book Life, the Universe, and the Scientific Method, this makes the claim “extraordinary”. And so, “dammit” say the chemists, the geologists had better put forth some extraordinary evidence, or at least some arguments worthy of the title “extraordinary”. What do the geologists offer? Well, they write that “arsenate esters of large biomolecules are likely to be more sterically hindered leading to slower rates of hydrolysis than occurs in small compounds, which are relatively flexible and can adopt a geometry that allows water to attack the arseno-ester bond.” Um. No. Steric hindrance was already considered in the interpolation. And what geometry are we talking about? This is “technobabble”, some technical terms strung together without any deeper semantic content. Then the geologists write: “Geraldes et al. (27) showed by nuclear magnetic resonance that arsenate esters with glucose have surprisingly slow hydrolysis rates”. Well, we got the paper. The rate of hydrolysis mentioned is 9.5 x 10-5 per second, that is, a half-life of about two hours. Surprisingly slow? That judgment was not expressed in the paper, and depends on what one expects. But in any case, a half-life of about two hours is far too short for the band reported by the geologist to contain even one arsenate link, let alone large amounts of arsenate-for-phosphate substitution. And, of course, it is not far outside the expectations based on Structure Theory. Often, pursuit of this question leads one in long and futile chases through the literature. And so we turn to the paper that the geologists offer from Kay , who reported the “incorporation of radioarsenate into proteins and nucleic acids” in a study of mammal cells. This, the geologists suggest, is one of many congruent lines of evidence supporting their hypothesis of arsenic DNA. The details of Kay’s paper will be understood by only the chemist. Briefly, Kay fed some radioactive arsenate to some cells, recovered the RNA from those cells, and decomposed the RNA down to its building blocks of RNA. Kay then reports that those building blocks were radioactive. This paper is frustratingly short of details. It is impossible from the paper to understand how the author inferred the structure of species that he isolated. For example, he says that he isolated “adenylic acid” into which arsenic had been incorporated, without (evidently) realizing that if arsenic had been incorporated, it would no longer be adenylic acid. No source is provided for the radioactive arsenate. Consistent with the technology available to him in 1965, he did not do isotope identification and chemical analyses that would be routine today. A subsequent paper was promised to discuss “the implications” of this research; it never seems to have appeared. To the chemist, nothing here meets the standards of “extraordinary”. The chemists, however, offered yet another line of reasoning to doubt the existence of arsenate DNA. They pointed out that any bacterium that uses arsenic DNA must also be able to make arsenic DNA. The path by which bacteria make phosphorus DNA is well known. It proceeds via many intermediates that would be quite unstable if their phosphates were replaced by arsenate. Many of these intermediates are quite close in structure to arsenate esters that have been made and studied. Here, the geologists have no opportunity to retreat to a claim that the known molecules are not “relevant” to the arsenic DNA proposal, or that they are “large biomolecules …likely to be more sterically hindered”. These metabolic intermediates certainly can “adopt a geometry that allows water to attack the arseno-ester bond”. And what do the geologists have to say about this? Nothing. This back-and-forth shows (at least) that geologists have different ways of deciding what is “exceptional”. To geologists, the controlling analogy comes from the Periodic Table. Analogies based on the Table have worked well for them for a century. Hafnium, for example, stands below zirconium in the Table; unexceptionally, hafnium is found in zircons. Arsenic stands below phosphorus, making it therefore entirely expected that phosphate is a common contaminant of arsenate in rocks, and vice versa. From this controlling analogy, arsenate esters are expected to be analogs of phosphate esters, with its C-O-P-O-C linkage. To geologists unfamiliar with the chemists’ databases, an analogy based on the Periodic Table drives their view that arsenic DNA is not an extraordinary claim demanding extraordinary evidence, just some congruent lines of argumentation. Thus, to the geological community, extraordinary evidence is not required to accept the arsenate-DNA conclusion. To geologists, an “Occam’s razor” argument is sufficient based on “multiple congruent lines of evidence”  that they themselves collected. Never mind the chemists’ databases. Arsenate-DNA is, in this view, the simplest explanation for the data extracted from GFAJ-1. So why not propose this structure? And get it published by Science, if you can? The shifting of the burden of proof based on their perception of what is “extraordinary” extends throughout the reply. For example, the geologists write that it is possible that GFAJ-1 “evolved specific strategies to cope” with the instability of arsenate esters . Indeed, it is possible. But under the argument, the burden lies on those who doubt the hypothesis to show that GFAJ-1 did not evolve “specific strategies to cope”, rather than on those who make the proposal to show that it did. As a clear example of a discussion of burdens in scientific argument, the analysis of the analysis (the meta-analysis?) of GFAJ-1 is likely to be more interesting than the analysis itself. In much of science education, science is “a thing” that has “a method”; conflicts between the sciences in how they meet burdens of proof are not discussed. If we are going to develop a multidisciplinary science, these conflicts must be recognized. To teach cross-disciplinary science, they must be managed. GFAJ-1 offers a marvelous example. Benner, S. A. (2009) The Life, the Universe and the Scientific Method. Gainesville, FfAME Press. Redfield, R. (Dec. 4, 2010) Arsenic associated bacteria. Sagan, C. (1990) Encyclopedia Galactica. Cosmos: A Personal Voyage. Episode 12, 1 min 10 sec. Dods, R. F., Roth, J. S. (1969) J. Org. Chem. 34, 1627-1630. Very nice description of the discussion. However, I think you may give ‘the geologists’ too much credit. A geologist should not ask chemists to disprove their claim about chemistry. As a geologist, you might ask chemists for advice, for instance: “this sounds geologically plausible, is it chemically possible?” As I see it, shifting the “burden of proof” is a courtroom-tactic not a scientific method. Especially, since there can be no proof ever in science, only falsification. In the end, there are plenty of biochemical techniques at our disposal to potentially falsify the arsenic in DNA claim. If these methods do show arsenate, the hypothesis holds; if they don’t, the beautiful hypothesis will be slain by this ugly fact. IMHO, the courtroom analogy works in a few special cases (like in this one demonstrating how one side is using courtroom tactics where they don’t belong), but not in general as a description of how the scientific method works. That method is written in logic and only in instances with insufficient evidence (such as the lack of certain experiments able to find arsenate directly) argumentation ensues. Still, a great post with very valuable information and much to think about. I learned a lot from it, thanks! P.S. : I’m a neuroscientist, but have asked friends with MassSpec if they would be able to test for arsenate in DNA. This is not clash of cultures between chemists and geologists. It’s a clash between one specific research group and the scientific community. Since the day this paper came out in December, every geologist I’ve spoken to about it has expressed extreme skepticism. I don’t think you’ll find many geologists rallying around studies that ignore chemistry or go way beyond the data. This is no more well regarded in geology than it is in chemistry. With the exception of the research group that published it, there is little (if any) support in the geological community for the arsenic-DNA hypothesis. Phosphate DNA persists for a century wet in vivo. One can imagine rapid maintenance repair of arsenate DNA in a microorganism, over minutes. If the thing runs on arsenate ATP, all the more amazing for *very* rapid arsenic anhydride hydrolysis. Int_er_molecular problems can be jiggered by compartmentalization. The real problem is arsenate RNA. DEOXYribonucleic acid, DNA. There is no sugar -OH vicinal to the sugar-phosphate ester linkage. Ribonucleic acid has that dangling -OH perfectly positioned for anchimeric assistance. Phosphate RNA is fugitive, intermolecularly. That’s OK, RNA is not supposed to stick around. Arsenate RNA will not exist for int_ra_molecular reasons. That requires quite the loophole to be otherwise. Good post about how “extraordinary” means different things to different people, depending on what they already know. This looks like a typo: “…bacterium that might use arsenic DNA to also be able to make arsenic DNA.” I take it that it should be “bacterium that might use arsenic DNA must* also be able to make arsenic DNA”? With all due respect, I am a biogeochemistry student (in a *shock* geology program)and I have an MS in geology in Tectonics. I think the arsenic life story is bunk and I do not appreciate the subtext of this article that geologists do not understand the chemistry and biology of the natural world. I study microbially induced weathering in hydrothermal systems. This means I need to know the biology, the chemistry and the geology of the system. Wolfe-Simon’s paper was used in our geobiology working group meeting as a “what not to do” example. Please do not continue to suggest that geologists do not understand the natural world. It is, sir, frankly insulting. Great read. Frankly I’m a little surprised this debate is still going on. Perhaps this is harder than I think it is, but why didn’t someone get some bacteria, grow them, extract the DNA and do x-ray crystallography. If you had As instead of P in the backbone, that would change the structure and be immediately obvious. Or do a Mass Spec study of the DNA, sequence the DNA. I followed a link here from Carl Zimmer’s blog, The Loom. I have followed this story off and on since just before the news conference and release of the Science Express paper. What this paper desperately needed was an experienced bacterial physiologist. The criticism by Redfield is valid, but I think misses the point. Wolfe-Simon et al. concentrated their efforts in focusing on DNA, but DNA represents a relatively minor fraction of phosphodiester bonds within the cell, under any growth condition. Most of the phosphate is incorporated into stable RNA, tRNA and ribosomal RNA (rRNA). If As is being incorporated into DNA, it must also be incorporated into these molecules as well. There are standard techniques to fractionate cells into fairly pure fractions of ribosomes, tRNA, and DNA. These techniques were developed in the 50′s and 60′s and formed the basis for purification until the development of gel technologies and selective binding matrices. For DNA, my method of choice would have been CsCl (cesium chloride) density equilibrium sedimentation. Here, following a phenol/chloroform extraction, the sample is mixed with a solution of CsCl and centrifuged for a few hours or days depending upon the volume of the centrifuge tube. At the proper spin rate, the heavy CsCl forms a concentration gradient, and DNA concentrates at a position in the gradient equal to its buoyant density. Addition of ethidium bromide (EtBr), allows the separation of plasmid and chromosomal DNA, since EtBr binding is different for closed circular supercoiled DNA (plasmids) and linear (chromosomal) DNA. Conveniently, plasmids with single strand nicks sediment with the chromosomal DNA. In similar experiments, crude ribosomal fractions (S30 pellets) are sedimented through a pre-made concentration gradient, classically made with various concentration of sucrose. Such experiments were originally used to prepare 30S, 50S and 70S ribosomes and to analyze polysomes, among other things. Back to DNA. Incorporation of As into DNA would give a heavier molecule and this could be easily seen in the different profiles. Of course, it is likely that if As is incorporated the molecules might be a mixture with both As- and P-diesters. The fraction of As/P could be easily measured by labeling cells with 73As and 32P. Moreover, an internal standard could be used by adding DNA from 33P-grown cells. A positive result from such an experiment would have gone a long way to convincing classically trained molecular biologists of the possibility of As incorporation into DNA. Even if As is not incorporated into DNA, such a result is still interesting: how can this organism survive and grow under these conditions? Incorporation of As into other nucleic acids is at least as interesting and, in my opinion, more interesting than the DNA story. For cells to grow, they need to transcribe and translate (think mRNA, tRNA, rRNA, ATP, CTP, UTP and GTP). The needs of the cell for this molecules far exceed those for DNA synthesis. A few final thoughts. The red flag for me was a reference to a review from 1960 concerning incorporation of phosphate — why not a more modern reference instead of one from the physiological dark ages? Why study cells from stationary phase and not actually growing cells? Even stationary phase cells are not really stationary: there is a continual growth and replacement of subpopulations within these cultures. The understanding of this is really in its infancy. Chemochemical coupling without ATP: the source of motility and chemotaxis in bacteria, Larsen et al., PNAS, 71:1239-1243, 1974. In this paper, arsenate was used to distinguish the energy requirements of motility (flagella-driven movement) and chemotaxis (movement up an attractant gradient). In the presence of arsenate, cells could move but could not sense the concentration gradient. Subsequent research showed that flagella rotation is driven by the proton gradient across the inner membrane of bacteria whereas the control of flagella is regulated in part by phosphorylation of regulatory proteins. If arsenate replaced phosphate and if it is labile (a likely possibility) then the signal transduction pathway of chemotaxis would be inactivated. All that being said, the notion of “weird life” is still viable, e.g., we can only easily detect life that is DNA based. Nature is full of surprises. Some recent ones for me: survival and growth of bacteria in glacial ice and rocks from Antarctica and Death Valley and 10^31 bacteriophage world wide that consume ~20-50 % of the bacterial biomass every day. Steven Benner discusses recent events in science and how they force us to think about how science is done. 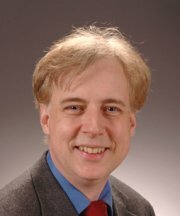 For information about Steven Benner’s career, research goals, and publications, please view his biosketch. Life, the Universe, and the Scientific Method discusses cross-disciplinary science to explain how scientists approach “big” questions, here, whether alien life might exist. With full color graphics and two dozen cartoons done by Jake Fuller, this is a must read for those interested in how science really works. As a limited time special offer for visiting our website, an autographed copy of the book can be purchased for a reduced price; visit ffame.org for details. Research from the FfAME has produced innovations that solve many problems in human diagnostics, forensics, and biomedical research. To facilitate their use, in collaboration with Firebird Biomolecular Sciences LLC, the FfAME makes many of these available through this catalog. We thank NASA and STScI for the image of the Milky Way.